Despite the vital role wetlands play in society, they remain among the most threatened ecosystems on Earth. To emphasise the direct and positive effects of healthy wetlands for humans, the theme of this yearâ€™s World Wetlands Day, held every year on 2 February, is â€˜Healthy Wetlands, Healthy Peopleâ€™. According to the Ramsar Convention on Wetlands, the poor management of wetlands claims the lives of more than 3 million people every year and brings suffering to many more. Because wetlands are often made up of difficult and inaccessible terrain, Earth Observation (EO) satellites can aid conservation efforts by inventorying, monitoring and assessing wetland ecosystems. This yearâ€™s theme underlines the fact that well-managed wetlands provide humans with clean water, the provision of food and pharmaceutical products, while mismanaged wetlands result in the impairment of our health or death through the effects of water-related diseases, burning peatlands, floods and water pollution. Saturday commemorates the date in 1971 that the Ramsar Convention on Wetlands, an intergovernmental treaty that provides the framework for national actions and international cooperation for the conservation and wise use of wetlands and their resources, was adopted in the Iranian city of Ramsar on the shores of the Caspian Sea. To date there are 157 signatories, which are obliged to report on the state of the wetlands they have designated. This complex and challenging task requires national, local and international bodies involved in the implementation of the Ramsar Convention to rely on suitable geo-information to better understand wetland areas, complete national inventories, perform monitoring activities, carry out assessments and implement suitable management plans based on updated and reliable information. 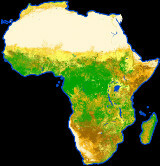 To aid in these efforts, ESA, in collaboration with the Ramsar Secretariat, launched the GlobWetland project in 2003 to produce satellite-derived and geo-referenced products including inventory maps, digital elevation models of wetlands and the surrounding catchment areas, land use-land cover maps, change-detection maps, peatland fire scar maps, water cycle regimes and water quality maps. Because the success of wetland conservation ultimately comes down to individual wetland managers, GlobWetland, which concludes later this year, has been carried out in collaboration with several regional, national and local conservation authorities and wetland managers, involving 50 different wetlands across 21 countries on four continents. Building on the results of GlobWetland, ESA and the Ramsar Secretariat convened a GlobWetland Symposium in October 2006 that attracted over 100 wetland specialists and EO experts from around the world to review the latest development in EO technology for inventorying, assessing and monitoring wetlands. The conclusions of the workshop will be the foundation for the Secretariat to define and scope the priorities for the future EO activities that will support the implementation of the convention. As of January 2008 more than 1709 wetlands have been designated as Wetlands of International Importance, for a total area of over 150 million hectares. â€˜Healthy Wetlands, Healthy Peopleâ€™ will also be the theme for Ramsarâ€™s 10th meeting of the Conference of the Parties (COP 10) to be held from 28 October to 4 November 2008 in the Republic of Korea. ESA will be present throughout the COP 10 with a dedicated booth and a side event highlighting the role of EO technology in supporting the implementation of the Ramsar Convention on Wetlands. The Scientific and Technical Review Panel (STRP) of the Convention met in Gland, Switzerland, from 28 January to 1 February 2008. ESA attended the meeting and pledged to continue helping the Convention by exploring and defining the directions and priorities for future research, development and application of Space Technologies in wetland management. 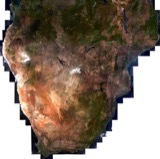 GlobWetland is taking place as part of ESAâ€™s EO Data User Element (DUE).